Once upon a time, a young man named Jonathan Bean stopped by KU’s beloved old Communication Design House. This must have been nearly a decade ago. He was a recent grad from Messiah College in central PA with a small portfolio and large ambitions. He was wondering about topping off his bachelor’s degree from Messiah with a BFA in illustration from Kutztown. Of course, we might want to steer a talented young artist toward Kutztown University, but I find a second bachelor’s degree redundant. Like adding a side of cheese fries to your cheese steak. At KU a second degree, especially now with our new gen ed requirements takes three more years of schooling. 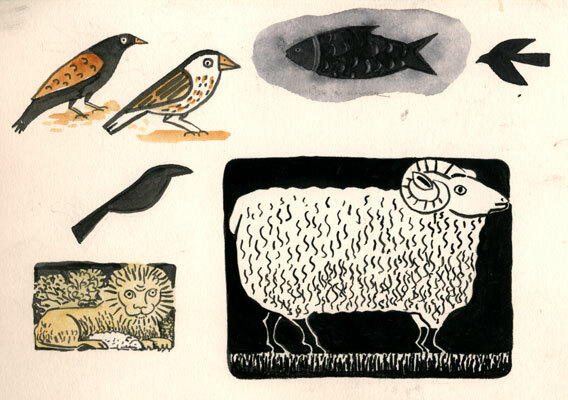 In my opinion, a recent grad who wants more illustration classes is better off earning a two-year MFA in illustration. That’s the advice I gave Jonathan. They have a limited residency MFA at Marywood in Scranton called Get your Master with the Masters, for example. Jonathan decided to apply to SVA, The School of Visual Arts, my alma mater, in NYC. Flash forward to 2011: He has recently moved back to nearby Fleetwood, PA and he stopped on campus earlier this semester to tell me how it went. It worked out OK. He has no regrets about going to SVA. It was expensive, for sure, but he found living and working in New York City exhilarating. He also said he was very lucky to be part of a really talented and supportive MFA class. On his website he has links to his SVA classmates’ work, including Paul Hoppe and Taeeun Yoo among others. 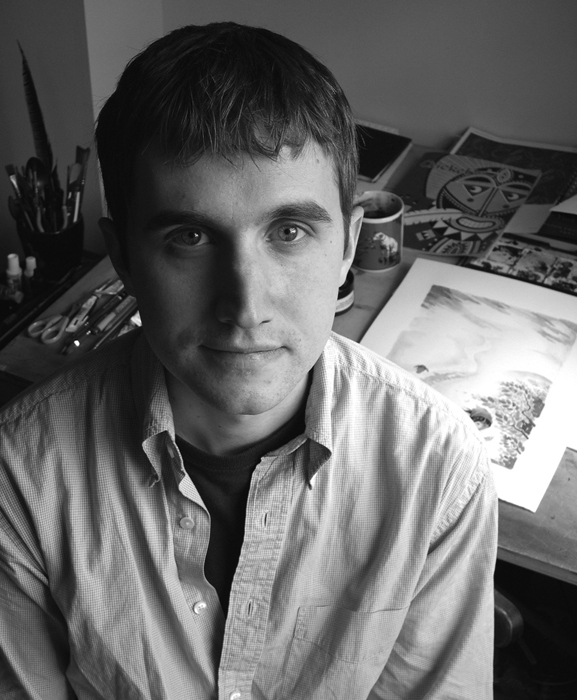 Jonathan has had great success as a children’s book illustrator. He is already working on his twelfth children’s book. 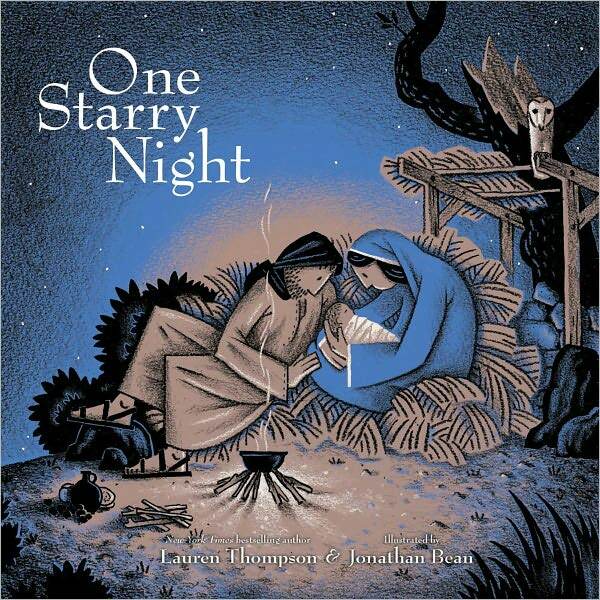 His most recently published book is One Starry Night, a retelling of the Christmas Story (the original one with the birth of Jesus, not the one where Flick’s tongue gets stuck to light pole.) One Starry Night is written by NY Times bestselling author Lauren Thompson. The text is nicely complimented by Jonathan’s deceptively simple art. To my eye his work harkens back to the classic style of Wanda Gag. Kirkus Reviews calls it “an artistic tour de force. 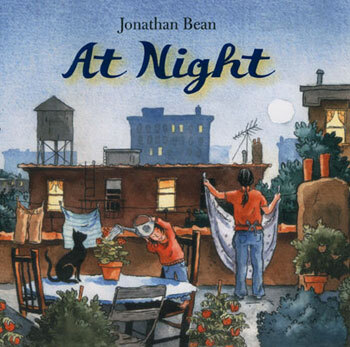 ” The Society of Illustrators has honored Jonathan by including artwork from One Starry Night in their current exhibition, on view through Dec.29, 2011. Take a look at his website. He has had many more accomplishments than the few described above. It is wonderful to see the well-deserved success of this talented young man. Hopefully, we can get him to visit our illustration classes this year at Kutztown. Next > Kutztown’s Unofficial Thursday Night Dress Code.